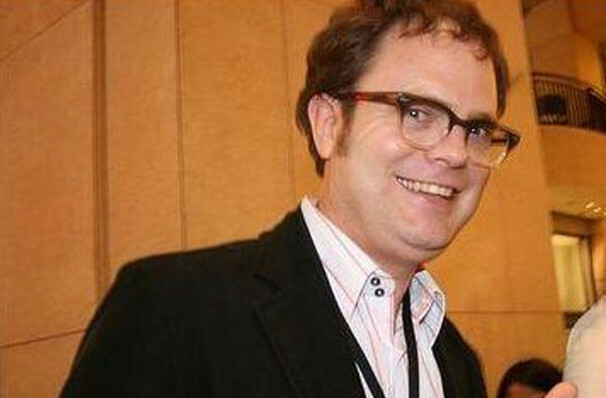 Whilst he may better known as the sociopathic Dwight Schrute on the American version of the television comedy The Office, there's more to Seattle native Rainn Wilson than the legacy of the Dunder Mifflin employee. Aside from his appearances in blockbuster feature films like 'Almost Famous', 'The Meg' and 'Transformers', Wilson became a published author with the release of his autobiography Bassoon King: Art, Idiocy and Other Sordid Tales. In it he covered his time learning and playing the bassoon in high school, as well as his founding of the website and media company Soul Pancake. Regularly hosting and performing on stage with a host of celebrity friends from both the comedy, acting and music worlds, as well as a few co-stars from The Office, Wilson is known for his fundraising events that fuse together stand up and live music. With an outrageously unique sense of humour and perspective on life, the laughs flow thick and fast when he waxes lyrical about his time in the entertainment industry. Past special guests have included Craig Robinson, Sean Nelson, Andy Grammer and Presidents of the United States Of America. Sound good to you? 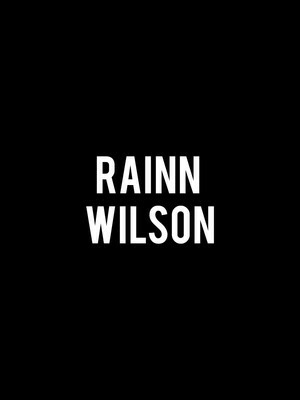 Share this page on social media and let your friends know about Rainn Wilson at Paramount Theatre. Please note: The term Paramount Theatre and/or Rainn Wilson as well as all associated graphics, logos, and/or other trademarks, tradenames or copyrights are the property of the Paramount Theatre and/or Rainn Wilson and are used herein for factual descriptive purposes only. We are in no way associated with or authorized by the Paramount Theatre and/or Rainn Wilson and neither that entity nor any of its affiliates have licensed or endorsed us to sell tickets, goods and or services in conjunction with their events.